When those first few novels transported Randall into the intrigue of other cultures and the complexity of foreign lands, his life changed forever. He wanted to experience those kinds of adventures and ended up traveling the world doing international business while living his own bizarre experiences. Realizing he wanted to create the same kind of stories he loved to read, Randall coaxed the Muse by writing, studying and learning the craft. After years of toiling with the words, the stories suddenly just seemed to happen. It was startling! It was the same joy and surprise he had relished as a reader in guessing how a plot might unfold affecting the characters’ lives. He now writes with the eye and passion of creating that next great story like he would want to read. Randall now lives in the hills of the Blue Ridge Mountains of Virginia and is focused on completing the Powers Meant for Gods trilogy to publish by December 2014. Read excerpts and more at RandallBoleyn.com and sign-up for Randall’s mailing list for publishing details. His latest book is the Young Adult Fantasy, Wave Links. When Llad meets an eccentric parapsychologist, Dr. Jemma Rask, she explains that she has waited decades just to teach him how to expand his mind and utilize the unique traits which she believes he has inherited. Even though Dr. Rask and her stories come across as way too weird for Llad, he begins studying her techniques. He quickly realizes that just because the link might be there, it doesn’t mean he actually has the talent or the patience to develop his abilities. After multiple killings shatter Llad’s life, he still doesn’t know who is behind the brutal murders or why he’s involved. But he knows now that he’s fighting for his life against a unknown enemy. He must discover more about his family tree and learn how to control his psychic gifts―if he has any. Alone with his grief, Llad searches for clues about his cryptic lineage while being haunted by reoccurring dreams of a mysterious girl trying to help him master the bizarre talents he will need to survive. Gary Mancuso has seen how fast the world’s biological and cultural diversity is being obliterated by rapid globalization. In 2005, He saw the earth reaching a major turning point, when the last remnants of primal humanity and nature would soon be gone. So, in a life-changing gamble, he set off on a six-year journey to see the earth’s remaining wildernesses. This intensely personal account of Gary’s journey includes feasting with New Guinea’s former cannibals, hunting with Pygmies in the Congo Basin, and attending a Madagascan highland death ritual with an exhumed corpse as the guest of honor. Gary paid a price for his journey: lost his wife to divorce, half his net worth to financial malfeasance, and a dear friend to suicide. He fell sick several times, got electrocuted, and struggled with the inevitable disorientation borne of long rootlessness. But he overcame each hurdle and even found romance in some unlikely places. By dumb luck, some smart luck, and an instinct for improvisation, he pressed on and somehow staggered home. The Last Places on Earth: Journeys in Our Disappearing World is a timely and powerful reminder that the wonderment and mystery that we humans naively assumed would always be there is dying fast. Pick up your copy at Amazon. Gary Mancuso yearned to travel ever since he was a boy. Then, the summer before his senior year in high school, he left his family home in Ohio and drove to California. Arriving in Los Angeles with four dollars in his pocket, he slept on the beach for a spell until he got his footing. When he wasn’t off wandering somewhere, he studied economics, communications, and political science and got a master’s degree in International Relations from the University of Southern California. 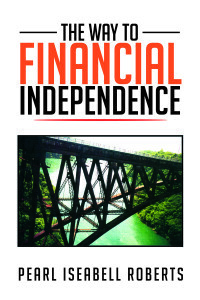 Before setting off on the journey that became the subject of this book, Gary headed business development in the trading room of a large regional bank. Along with his passion for travel, he is an avid trekker, swimmer, scuba diver, environmentalist, and private pilot. 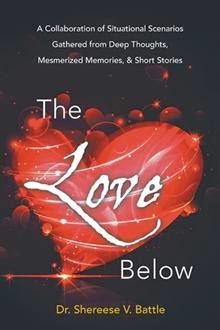 The Love Below by Dr. Shereese V. Battle Book Blitz – Win a $25 Amazon Gift Card! Ever dated someone and felt the need to take drastic measures to preserve your feelings? Yeah, me too! You want to give more of you, show more of yourself, and open up a little more. But, you’re afraid! You’re afraid that something so sweet could become so bitter. So you caution yourself… See, the beauty in Robot Love is it doesn’t have to end! So, take your time and be mindful of your emotions. But, keep in mind that, it’s OK for one Robot to love, and miss another. Have you ever received a call from someone and felt the need to go into IMMEDIATE Prayer? You think, “Lord, should I answer this call?” Sometimes, you have to push the call-end button. Quite frankly, I find myself doing it more often. It’s not because I don’t want to be of service, but it’s hard to help someone who becomes rebellious against assistance. So, help if you can. But, know that it’s OK to let him/her go so you can grow. Remember when you were a kid and had imaginary talks with yourself about growing up? Yeah me too! I can still hear my mother saying, “You better stay a child as long as you can.” Momma told me there would be days when I wish I were still a kid. And you know what? “She ain’t ever lied!” Despite my age, I still need her help. I never anticipated facing so many challenges as an adult. From me to you…Just be careful with what you wish. The Love Below is an empowering, self-help guide for overcoming life-changing situations. This book will also provide practical tools to help reflect on the past by offering essential steps to move toward a healthy future. Shereese Battle is a certified and credentialed Life Coach, Spiritual Advisor, and Therapist. Shereese is publisher of Robot Love HeartWrites Publishing (www.robotloveheartwrites.com). She can be contacted atdr.shereesebattle@gmail.com. Shereese Battle, a certified and credentialed Life Coach, Spiritual Advisor, and Therapist, is a devoted woman of Christ, and the mother of two: Chynah (seventeen) and Ayden (five). Born and raised in Portsmouth, VA, she relocated to California in 2010. After losing her mother in December 2009, Shereese was broken and shattered. However, she sought healing and instead of being defeated by grief, she used wisdom and prayer to help ease the pain. It was during this time that Shereese also had an epiphany, which prompted her to a Holy Spirit-led move across the country. She knew as long as she had Jesus, she had everything! This was the beginning of her new life.Since 2010, Shereese has been an ongoing student with Liberty University.She holds a Bachelors of Science in Psychology, a Masters of Arts in Life Coaching, and she is currently enrolled in Liberty University Seminary School where she is pursuing her Master of Arts in Pastoral Counseling for Marriage and Family. She has also completed and graduated from two years of ministry school. In addition, she holds a degree in Developmental Disabilities.Shereese currently resides in Southern California with her children. She loves devoting her time to things that will add and bring volume in her life. Her mission is to continue to allow God to use her, bless others unconditionally, and to live every day in appreciation. It is here where she is focused on creating the change that she would like to see, as well as, growing in her purpose so that she can continue figuring out who she is by becoming a better person. She loves baking, being creative, playing tennis, traveling, and writing, as well as, meeting new people. She can be contacted at dr.shereesebattle@gmail.com. Shereese is giving away a $25 Amazon Gift Card! This giveaway begins October 6 and ends on October 17. Winners will be contacted via email on Monday, October 20. 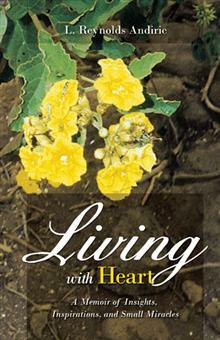 Living with Heart by L. Reynolds Andiric Book Blitz – Win a $25 Amazon Gift Card! Reflections from the heart: intimate and provocative An eclectic assortment of sensitive, reflective, and occasionally spiritual short stories relates the experiences of an adventurous seeker and world traveler. Never a mere spectator of life, but always fully participating, L. Reynolds Andiric relays stories of intimate connections with nature and family as well as memorable exchanges with individuals randomly encountered along life’s way. Each tale conveys an insightful experience that broadened not only the author’s understanding of earth’s creatures—animal as well as human—but served to alter how the world is viewed. These accounts implore the reader to also appreciate and preserve the natural world and to cherish, honor, and respect all of humanity, regardless of our differences. Poignant, humorous, contemplative—sometimes a bit tense, these adventures will leave you wondering, What will be next? A medical laboratory scientist, L. Reynolds Andiric has had a long career in medical laboratory management. She is a world traveler with a love of people and nature and has an astute and sensitive connection to all beings. She currently lives in St. Augustine, Florida, and works as a technical consultant with the American Society for Clinical Pathology (ASCP) as part of the PEPFAR Project. She also owns LabCare & Assoc., a clinical laboratory consulting company. L is giving away a $25 Amazon Gift Card! Conscious Experience by W.H. Sparks Book Blitz – Win a $25 Amazon Gift Card! (2) the experience occurring as the developed energies, depending on purpose and intensity, are detected by muscle receptors. The conscious experience occurs as perception (the experience of the environment), imagery (imagination, memory, and dreams), feelings (emotion), or, when agreed to, the meanings of language. Consciousness and conscious experience are not subject to the interpretations of scientific and religious knowledge because consciousness is the individual experience of each and every person. In Conscious Experience, author W.H. Sparks presents a discussion of the relationship of consciousness and experience based on his extensive research and his personal experiences. In the Conscious Experience, Sparks provides information that shows conscious experience includes perception, imagery, feelings, and the meanings of language—all qualities unique to each individual. W.H. Sparks graduated from the University of Colorado. His primary field of study was philosophy. After graduation, Sparks continued his interest in studies of consciousness. Sparks is the author of Language and Conscious Experience and The Nature of Experience. He and his wife live in Southern California. W.H. is giving away a $25 Amazon Gift Card! 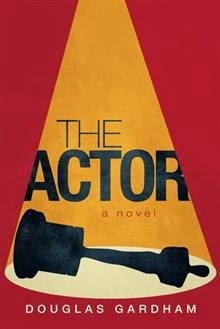 The Actor by Douglas Gardham Book Blitz – Win a $25 Amazon Gift Card! It is 1991 when Ethan Jones finally wins the role of his dreams in an upcoming, big screen movie. With the envelope holding the script clutched in his hand, he arrives at his California apartment where he can hardly wait to tell his girlfriend the exciting news. But when he finds the door unexpectedly ajar, he has no idea that in just a few seconds, the life he has fought so hard to obtain will be shattered. Eight years earlier, Ethan is attending university in Ottawa, Canada. One evening after seriously contemplating suicide, he finds his way into a club where he meets Mila Monahan, a beautiful acting student who saves him from himself. After he watches Mila rehearse a university play, Ethan catches the acting bug and decides to pursue his own creative passions, causing a collision with his more secure ideals. But when Mila suddenly disappears, Ethan vows he will never stop chasing the dream she inspired in him, believing in a world entirely different from the one he is living in. The Actor is a gripping tale of a young man’s unforgettable journey of self-discovery in overcoming the trauma of a personal tragedy. It is a story of love, hardship, persistence and overwhelming joy where The Actor learns he can portray anything he can imagine. Douglas is giving away a $25 Amazon Gift Card! We never know how God may lead us. The twists and turns of life often leave us confused and deflated. For 10-year-old Haley, the unexpected loss of her father was such a twist. When all is lost, a little light in the darkness can make all the difference. The world is a big place for a little girl. For that matter, it’s a pretty big place for anyone who has lost their way. Hayley finds her solution in a modern day prince, but she can’t pull off this miracle by herself. Nick, an attorney struggling to save his job, wouldn’t seem to be much help to a little girl trying to create a miracle. But life has a way of bringing us the people we need most, at just the right time. Still, there is so much that could go wrong, especially when her headstrong mother doesn’t fall for the prince. But there’s something Hayley doesn’t see coming, something she can’t see. Something she doesn’t want to see, something that hides in the dark where she can’t go, something unspeakable. Follow Haley’s journey into the light and see how redemption is there for anyone, even the condemned. And see how love can find you-even through the darkness. 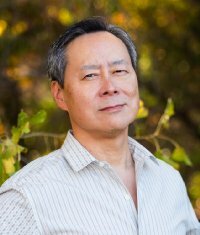 David Hwa makes his literary debut with Finding Daddy Warbucks (2014) a tale of a little girl’s journey through loss, love and redemption. David grew up in Kansas. He graduated with a music degree from the University of Colorado and went on to obtain a Master of Business Administration from Denver University, a law degree from Pepperdine University School of Law, and a Master of Laws from Georgetown University Law Center. 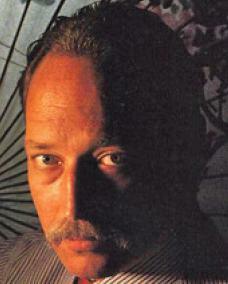 He practiced securities law for many years in Los Angeles, California with the U.S. Securities & Exchange Commission. He later moved to Washington, DC where continued his securities practice with the Commission and later in private practice with the law firm of Bingham McCutchen LLP. Following the financial crisis of 2008, David moved back to Colorado and opened his own securities law practice. David is single and lives in Aurora, Colorado with his two leopard geckos Gordon and Carlos. He spends his days writing, skiing, and occasionally dispensing legal advice, sometimes while on the ski slopes. Connect with David on Facebook and Google+. After a failure in a relationship. The author starts all over in his entire way of thinking. This book walks us through Arlow’s look on Spirituality, Life, Looking for Love, Finding Love, Lost Loves and then doing Positive Affirmations in order to find the strength to do it all again. 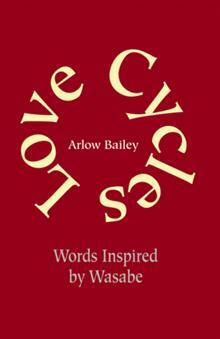 Thus Love Cycles. Look for his new book Creative Dating to be coming our soon. Creative Dating is the first attempt to change showing off to showing love. It puts back the creative juices in dating instead of dinner and a movie. Find out how. What ever possesed me to write this book? I am from Iowa orginally. I live now in Florida. I am an Orthopeadic Physican Assistant by day. A writer poet by night. I love both parts of me. I am divorced. I understand your pain and pride. I hope you will understand mine.